iPhone users who’d rather not be locked into a two year contract with a mobile carrier, rejoice. After a longer than usual wait, the unlocked versions of the iPhone 6 and iPhone 6 Plus can finally be purchased outright. Apple recently made the unlocked versions of both devices available and they’re currently for sale on the Apple Store website. Apple usually makes unlocked versions of its phones available within three to four months of the devices being released. This time, heavy demand for the the phones may have delayed release of the unlocked versions, 9to5mac.com speculates. Apple introduced the latest version of its flagship mobile device, the iPhone 6, and iPhone 6 phablet, in Sept. 2014. And the company sold a record 10 million phones in its first weekend. Right now, the unlocked iPhone 6 starts at $649 and the iPhone 6 Plus phablet has a $749 base price. The starting price of the iPhone 6 brings 16GB of storage. More storage from the 64GB model costs $749 and the 128GB version sells for $849. The base price on the iPhone 6 Plus gets you 16GB of storage. The 64GB model sells for $849 and the 128GB version has a $949 price tag on it. An unlocked smartphone means the device is sold directly to consumers without an SIM card inside. This allows buyers of the phone to choose from AT&T, Sprint, Verizon, T-Mobile or any other carrier they prefer. 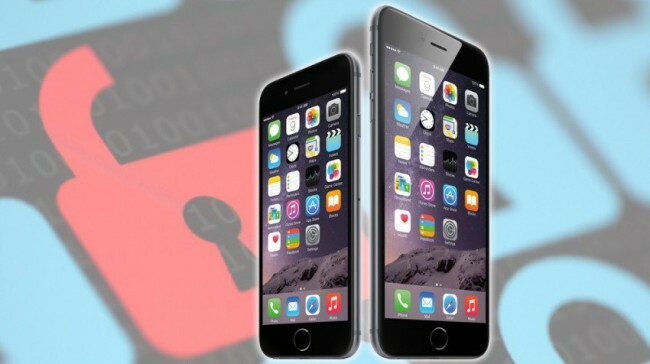 Obviously, the unlocked version of any device carries the weight of the full cost initially. Otherwise, new iPhones are usually purchased by users who will pay for the device over the course of their typical two year contract with a mobile carrier. Those phones are pre-loaded with SIM cards specific to the carrier. Once someone buys an unlocked iPhone, all they need to do is insert a SIM card in the appropriate slot and turn on the phone. iPhone 6 and iPhone 6 Plus, in the unlocked versions, will walk users through the activation process once they insert their new SIM card. The iPhone 6 standard model features a 4.7-inch display with a high 1334-by-750 pixel resolution. At the same time when iPhone 6 was introduced, Apple also unveiled, for the first time, a phablet version of the device. The iPhone 6 Plus features a larger 5.5-inch display and even more detailed 1920×1080 pixel resolution.